So I 'accidently' popped into Lush on Sunday and spent a few pennies! But let's be honest, how could I not? It was the first time I'd been in Lush since they'd put out all their Easter and Mother's Day products and they are just to fabulous for me to resist buying one or two. First up, we have Secret Garden, which is bath bomb that was brought in as part of the Mother's Day range. I think this little beauty may have been available last year but I'm not too sure. 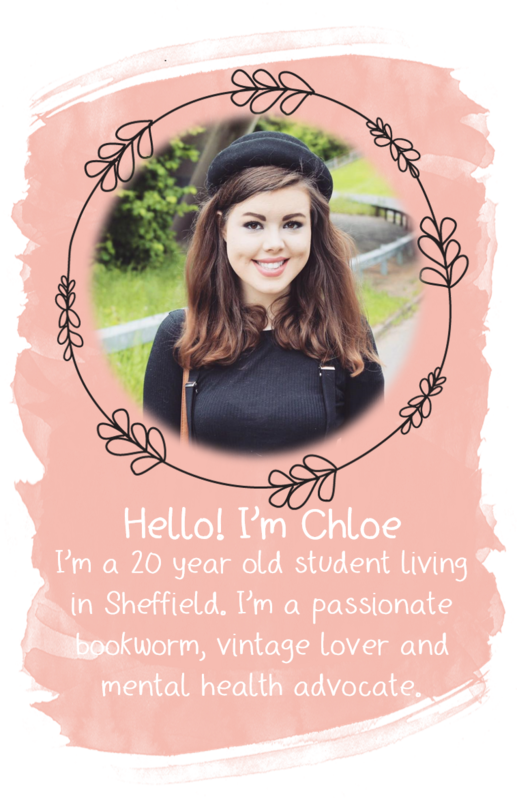 It's the only one of the bits I picked up that I've used so far, so I'm able to give you a quick review. 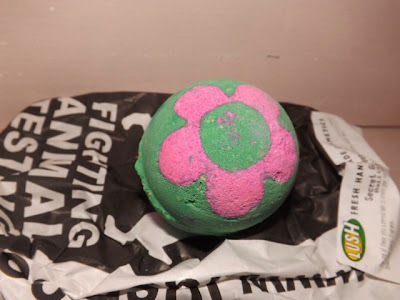 This bath bomb reminds me so much of the musical Wicked, as it fizzes to show pink and green 'Glinda and Elphaba' colours, and as a self-confessed Wicked lover, Lush get lots of bonus points for this, even if it wasn't their aim. It smells a-m-a-z-i-n-g (yes, the hyphens were necessary) and a quick trip to the Lush website tells me that this is down to a blend or rose, sweet wild orange and rosewood oil. I've found that unlike some of the other Lush bath bombs, this product produces a lovely foam that sticks around for a fair while, and it fizzes for a long while longer than your usual bath bombs, which is fab. This product is priced at £2.95. Next, I picked up the Fluffy Egg bath bomb, which is one of their Easter products. I'm yet to use this product so this is just going to be a first impressions review. It has the well-loved snow fairy, sweet shop style, scent, which is one of my favourite Lush scents ever, so the minute I picked this bath bomb up, in the shop, I fell in love. Can we also just admire the name? It's so cute, and perfect for Easter! 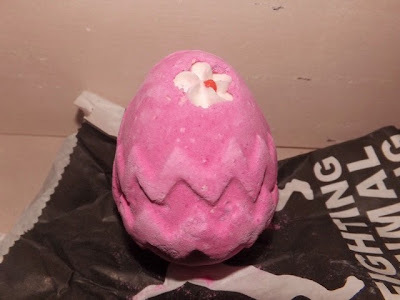 It's definitely a very girly bath bomb, and I think it would make a fab alternative to a chocolate Easter present, if the recipient of your gift isn't a huge fan of chocolate. This product is priced at £2.95. Finally, I brought The Brightside, which is a stunning bubble bar. This is one of those products that catches your eye as soon as you enter the shop, and it smells just as good as it looks. It contains Tangerine Oil and and Mandarin Oil and the scent is so refreshing. 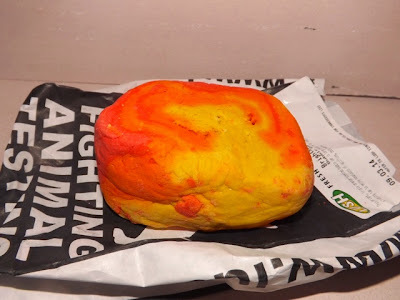 Fellow Lush fanatics may recognise the design of this bath bomb, as it's the same size and design as the famous Lush Comforter bubble bar, which makes it even more fab as it's a product that you can get a good two or so baths from. This product is priced at £4.50. So those are all the products I picked up! I'm so so impressed with Lush's range of Easter and Mother's Day products that I may just have to make another trip into town at some point soon to pick up a few of their other special products. 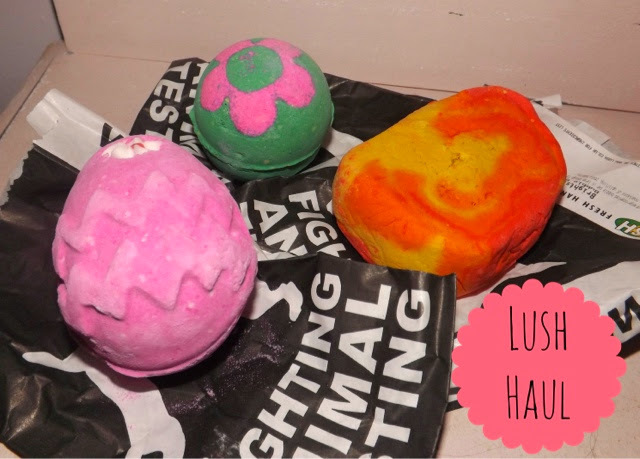 Have you tried any of the products from the Lush Easter or Mother's Day ranges? Let me know which ones you recommend! The Secret Garden bomb is really pretty! It's great when they fizz for ages and leave a nice foam :) and The Brightside looks so fun! Oh, I so want to have a Spring Lush shop! Awesome post. They all look so gorgeous and lovely! I used the fluffy egg bath bomb the other day, it is amazing! I tried secret garden the other day and loved it the smell is gorgeous! I definitely have a weakness for Lush! I wish there was lush around here. I am not a big online shopper. so I have not tried anything from there. They look so tempting though.